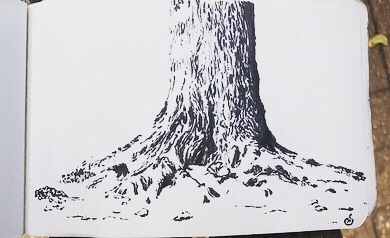 A tree sketch from last year compared with the same tree from Inktober a few weeks back. It’s the same tree from the same bench a year later, this is the first time I’ve compared them. I think they are both wonderful sketches. However, I will say that I think the latest one is a bit cleaner. There’s perhaps more confidence in the marks. I agree, both are fantastic. 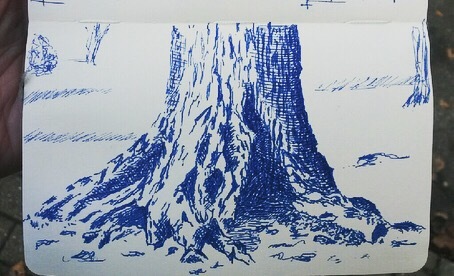 But I like the first tree more because of that one’s natural environment (drawing looks complete).